“There was a feast of the Jews, and Jesus went up to Jerusalem. Therefore, the Jews began to persecute Jesus because he did this on a sabbath.” -John 5:1-16. 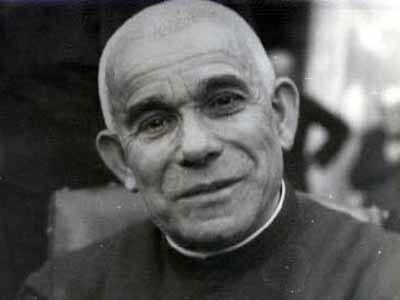 On 16 October 1889, he joined the diocesan seminary of Tortona. As a young seminarian he devoted himself to the care of others by becoming a member of both the San Marziano Society for Mutual Help and the Society of Saint Vincent de Paul. On 3 July 1892 he opened the first Oratory in Tortona to provide for the Christian training of boys. The following year, on 15 October 1893, Luigi Orione, then a seminarian of twenty-one, started a boarding school for poor boys, in the Saint Bernardine estate. On 13 April 1895, Luigi Orione was ordained priest and, on that occasion, the Bishop gave the clerical habit to six pupils of the boarding school. Within a brief span of time, Don Orione opened new houses at Mornico Losana (Pavia), Noto – in Sicily, Sanremo and Rome. Around the young Founder there grew up seminarians and priests who made up the first core group of the Little Work of Divine Providence. In 1899, he founded the branch of the Hermits of Divine Providence. The Bishop of Tortona, Mgr Igino Bandi, by a Decree of 21 March 1903, issued the canonical approval of the Sons of Divine Providence (priests, lay brothers and hermits) – the male congregation of the Little Work of Divine Providence. It aims to “co-operate to bring the little ones, the poor and the people to the Church and to the Pope, by means of the works of charity”, and professes a fourth vow of special “faithfulness to the Pope”. In the first Constitutions of 1904, among the aims of the new Congregation, there appears that of working to “achieve the union of the separated Churches”. On 29 June 1915, twenty years after the foundation of the Sons of Divine Providence, he added to the “single tree of many branches” the Congregation of the Little Missionary Sisters of Charity who are inspired by the same founding charism. Alongside them, he placed the Blind Sisters, Adorers of the Blessed Sacrament. Later, the Contemplative Sisters of Jesus Crucified were also founded. For lay people he set up the associations of the “Ladies of Divine Providence”, the “Former Pupils”, and the “Friends”. More recently, the Don Orione Secular Institute and the Don Orione Lay People’s Movement have come into being. Following the First World War (1914-1918), the number of schools, boarding houses, agricultural schools, charitable and welfare works increased. Among his most enterprising and original works, he set up the “Little Cottolengos”, for the care of the suffering and abandoned, which were usually built in the outskirts of large cities to act as “new pulpits” from which to speak of Christ and of the Church – “true beacons of faith and of civilisation”. From 1921-1922 and from 1934-1937, he himself made two missionary journeys to Latin America: to Argentina, Brazil and Uruguay, going as far as Chile. He enjoyed the personal respect of the Popes and the Holy See’s Authorities, who entrusted him with confidential tasks of sorting out problems and healing wounds both inside the Church as well as in the relations with society. He was a preacher, a confessor and a tireless organiser of pilgrimages, missions, processions, live cribs and other popular manifestations and celebrations of the faith. He loved Our Lady deeply and fostered devotion to her by every means possible and, through the manual labour of his seminarians, built the shrines of Our Lady of Safe Keeping in Tortona and Our Lady of Caravaggio at Fumo. 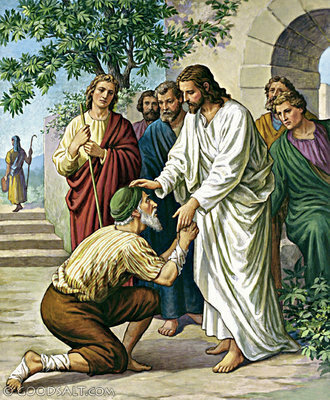 In the winter of 1940, with the intention of easing the heart and lung complaints that were troubling him, he went to the Sanremo house, even though, as he said, “it is not among the palm trees that I would like to die, but among the poor who are Jesus Christ”. Only three days later, on 12 March 1940, surrounded by the love of his confreres, Don Orione died, while sighing “Jesus, Jesus! I am going”. His body was found to be intact at its first exhumation in 1965. It has been exposed to the veneration of the faithful in the shrine of Our Lady of Safe Keeping in Tortona ever since 26 October 1980 – the day in which Pope John Paul II inscribed Don Luigi Orione in the Book of the Blessed. He was canonized on 16 May 2004.